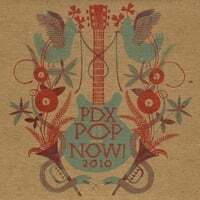 2010 Compilation – PDX POP NOW! Available for purchase ($8) June 2, 2012 at local retail outlets and online. Proceeds from sales of the album go towards funding the festival and our outreach activities. Hard copies can be found at many record stores around Portland such as Everyday Music, Jackpot Records, Music Millenium, Tender Loving Empire, and many more! 2 weeks ago by pdxpopnow Next Friday at the Cobra Lounge!⚡️ All ages, $5-10 sliding scale. 1 month ago by pdxpopnow The lineup is here for our Vol. 16 Compilation Release Show! $8 gets you in the door and a copy of this year’s comp CD! Performances by @itskingsleymus @martha_stax and @babytooth .jpeg, with provisions generously donated by @babydollpizza and @lagunitasbeer . Come celebrate PDX music! 1 month ago by pdxpopnow Our Comp Release show is less than two weeks away! A $50 donation to our Festival Fundraising drive gets you entry to the show, plus a copy of the comp, and tee or tote! Link in bio! 2018 © PDX Pop Now! | All Rights Reserved.